If you are looking for a last minute neighbor gift idea for Christmas, or a “just because” holiday hostess gift, this body wash idea is cute! 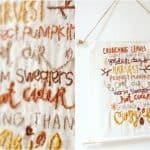 Add the free printable tags. These Christmas gifts for neighbors take about a minute to assemble! I just moved into a newly built neighborhood and have been thinking about what I should pick for a neighbor gift – since everyone else around me is also new. I don’t know a lot about my new neighbors, but I do know one thing: they like colorful doors. Hilarious, right? We jumped on the colorful door train with a bright orange door – this was after noticing that two neighbors had red and lime green doors. I decided to give them delicious smelling body with colorful tags (with fun sayings) that I designed just for this purpose. 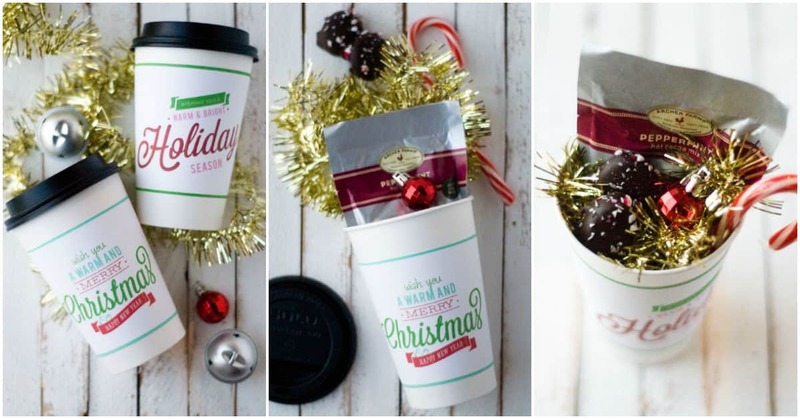 This is perfect for last minute neighbor gifts since it doesn’t take long to assemble at all! For the neighbor gift, I wanted to choose something that everyone would like. I got these Softsoap limited edition body washes in the mail, and they smell AMAZING! Tie the tag into an open loop. Open the lid and close it down over the loop. Yes – you’re done! You assembled an awesome smelling neighbor gift in about a minute flat. And I promise you, it’s going to be a neighbor gift that anyone will love. 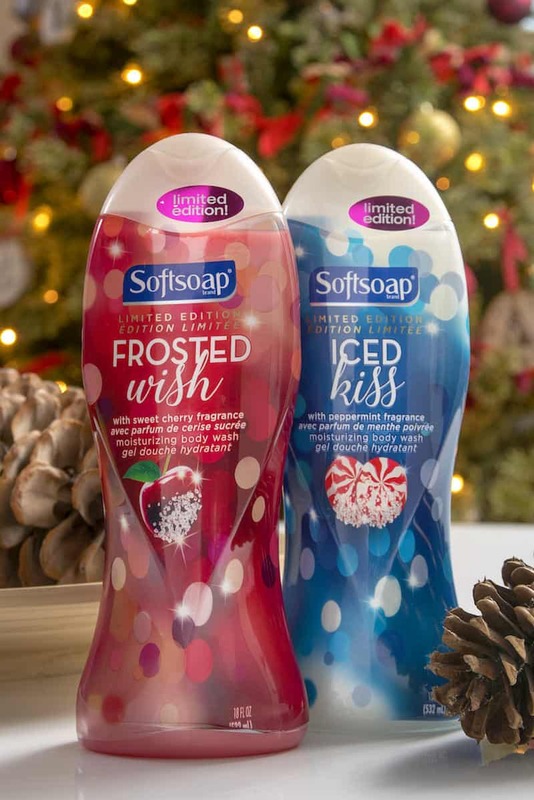 I feel like the Softsoap Iced Kiss is good for a dude and the Frosted Wish is perfect for a gal, but honestly either one works for any gender or age. If you try this gift idea, let me know in the comments. 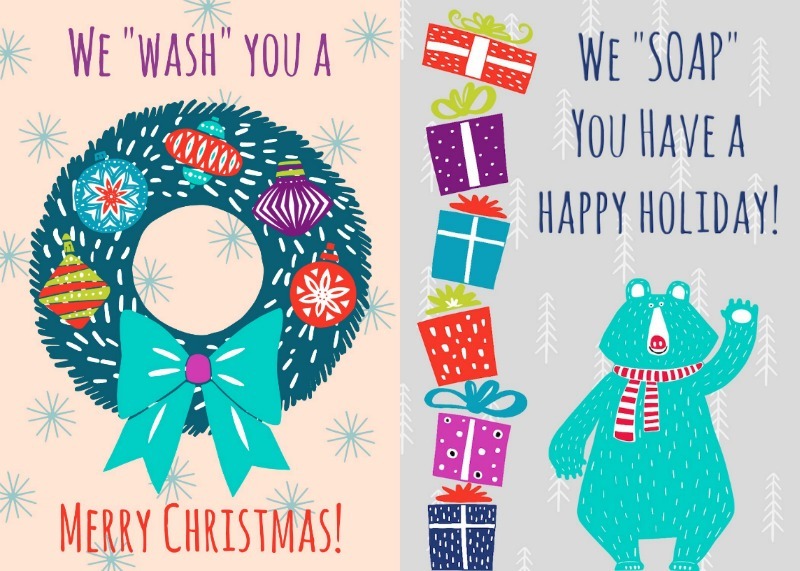 If you want some additional warm and merry neighbor gifts, click the image below!